a ribbon cutting for the Operation Care Closet. 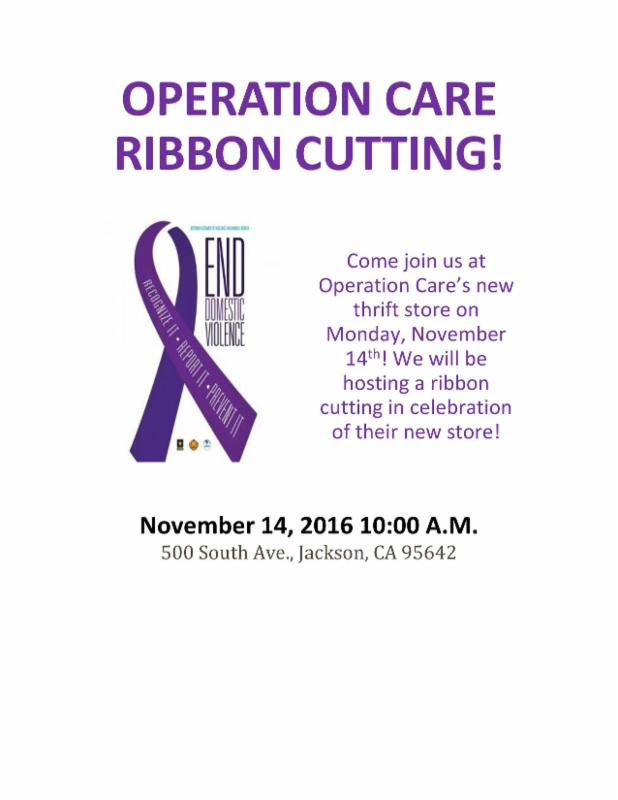 Come out to the brand new Operation Care Closet for our ribbon cutting! The event will be held at the brand new thrift store at 10:00 A.M.
on November 19th 10:00 A.M. to 4:00 P.M.